Born in Antwerp, Jules Schaumburg trained in the city’s Academy of Fine Arts under the engraver Lucas Schaefels and developed a fine draftsman ship that he would apply to his large scale seascapes. During the early 1860’s he worked in Belgium and possibly England but by 1864 he was living in Bombay where he befriended Louis Rousselet and agreed to accompany him on his journey throughout central and northern India. Schaumburg’s Indian subjects include portraits of the Royal couple of Baroda, landscapes of Baroda and Calcutta, the shipping industry on the Hooghly River in Calcutta, the Chaturbhuj Temple at Orchha and the Amber Fort and Palace in Jaipur. 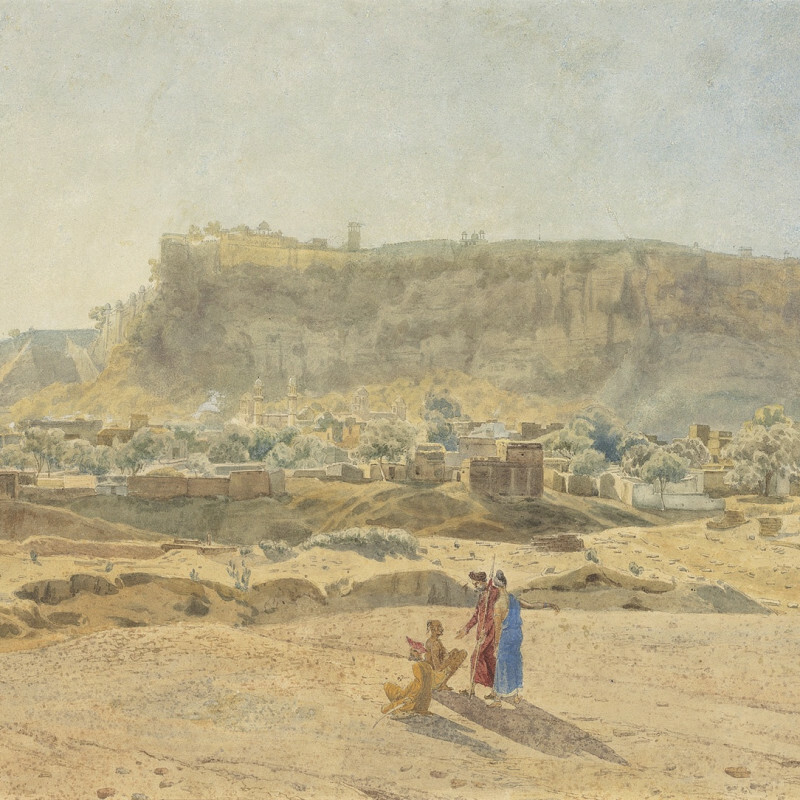 After the four year trip with Rousselet, Schaumburg decided to settle in Calcutta, where he served as an artist for the Geographical Survey of India. He was well received in the Indian art community and was an Associate Member of the Royal Asiatic Society of Bengal (1874), Acting Principal of the Calcutta Government School of Art, and Chairman of the Sculpture Committee for the First International Exhibition in Calcutta (1883-84).